"Rookies" is a classic comedy. We have included this film in our program to illustrate the work and contributions of our star Marceline Day. Warner Bros. keeps a copy of the film locked in their vaults. They do not plan to release it on DVD. They have also refused our multiple requests to make a copy of the film available to Silent Hall of Fame, so we can show it to the public. Until and if that happens, we have to rely on newspaper articles about the film from the 1920ies. "Rookies" is a genuine comedy. The action moves smoothly, for "Rookies" is not an assembly of "gags," but a coherent story. Marceline Day disciplines George Arthur in "Rookies" (1927). 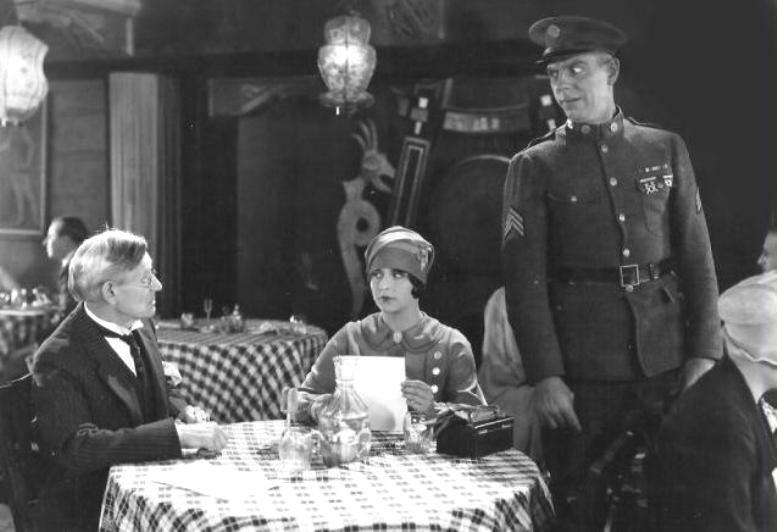 Marceline Day does not notice Carl Dane in "Rookies" (1927). 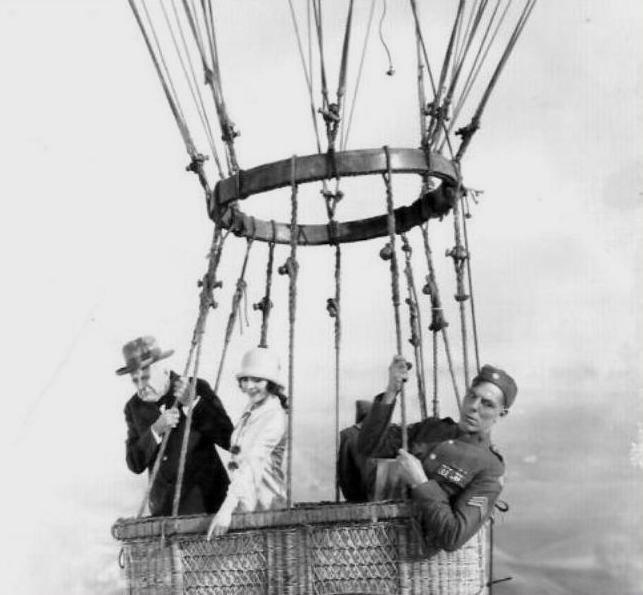 Marceline Day and Carl Dane enjoy a balloon flight in "Rookies" (1927). 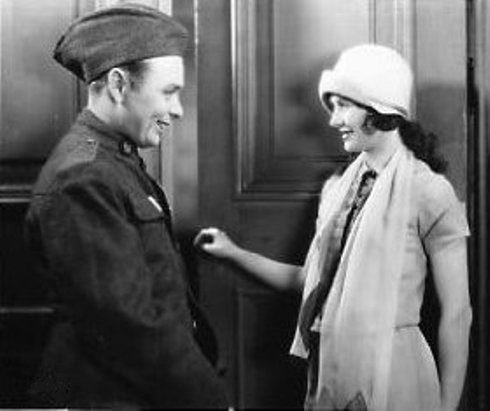 Marceline Day and George Arthur interact in "Rookies" (1927). Marceline Day and George Arthur in "Rookies" (1927). 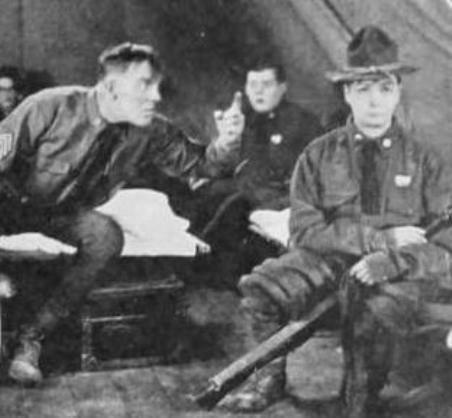 George Arthur is disciplined by Carl Dane in "Rookies" (1927). 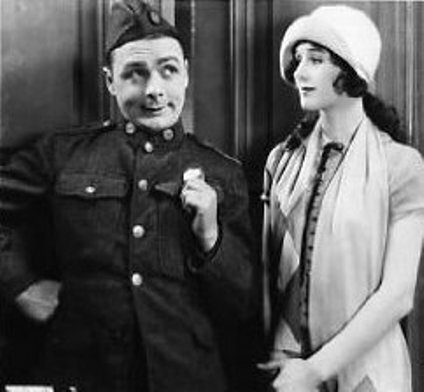 Marceline Day and Carl Dane in "Rookies" (1927). Dangerous balloon. 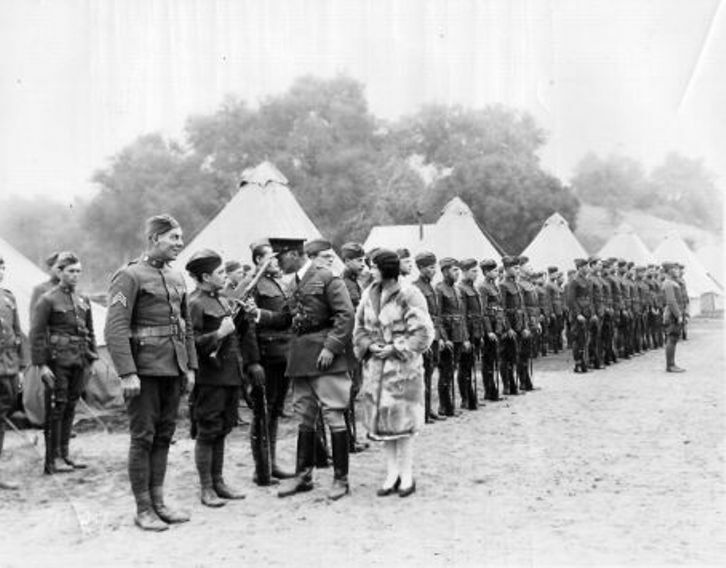 Marceline Day watches George Arthur and Carl Dane marching in "Rookies" (1927). 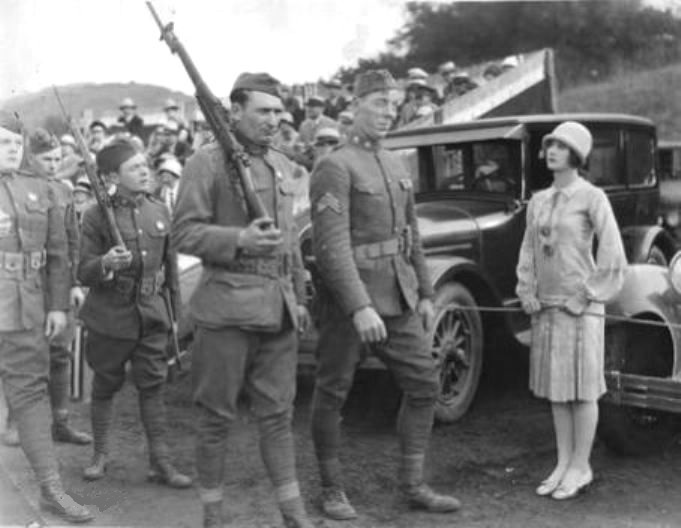 Marceline Day checks George Arthur and Carl Dane in "Rookies" (1927). 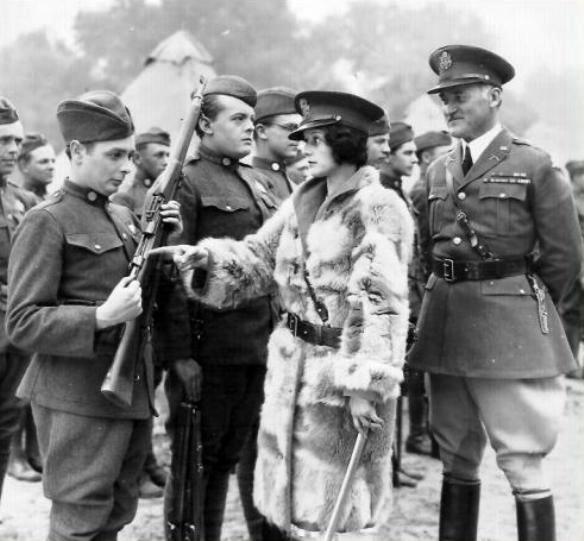 Marceline Day likes George Arthur in "Rookies" (1927). 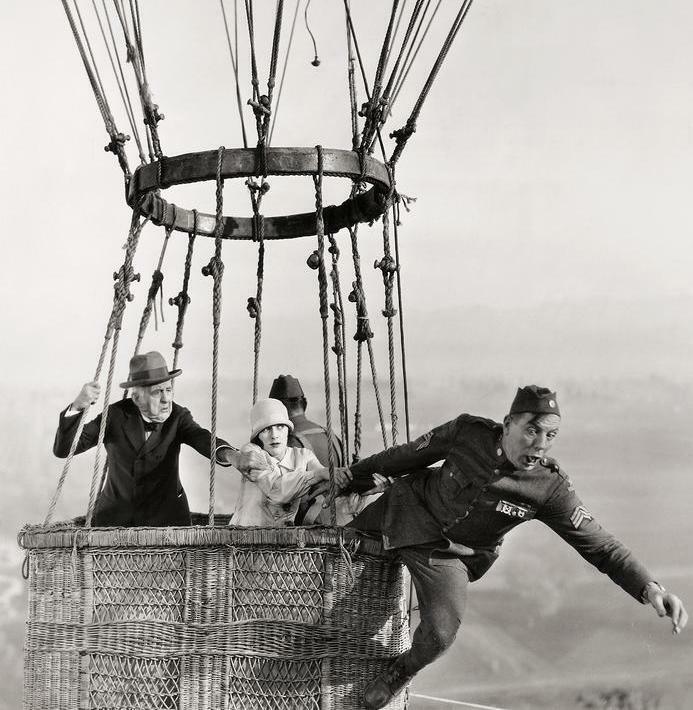 Marceline Day, George Arthur and Carl Dane in "Rookies" (1927). 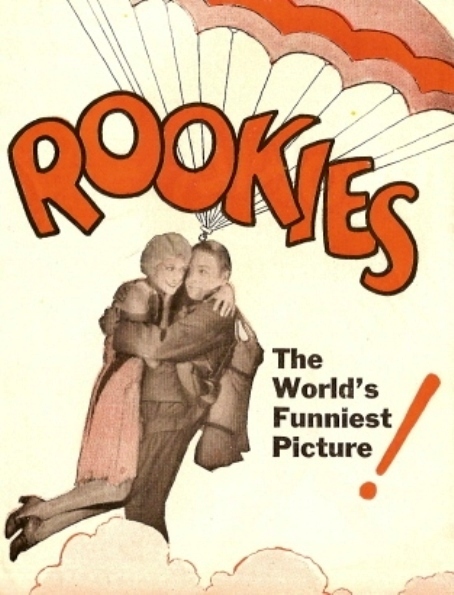 A poster for "Rookies" (1927) with Marceline Day, George Arthur and Carl Dane - front. 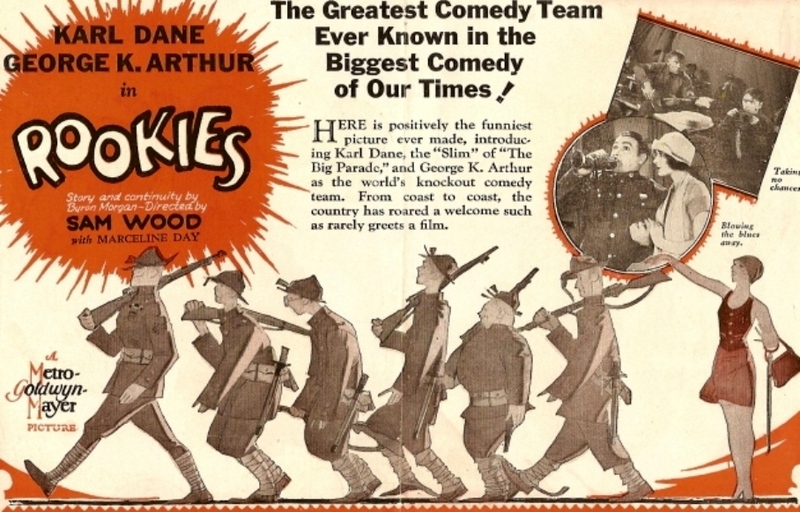 A poster for "Rookies" (1927) with Marceline Day, George Arthur and Carl Dane - back. 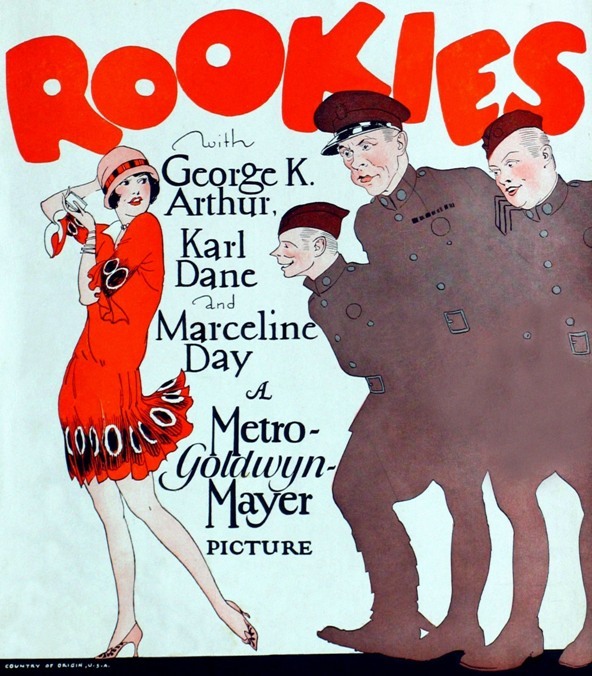 A very nice poster for "Rookies" (1927) with Marceline Day, George Arthur and Carl Dane.